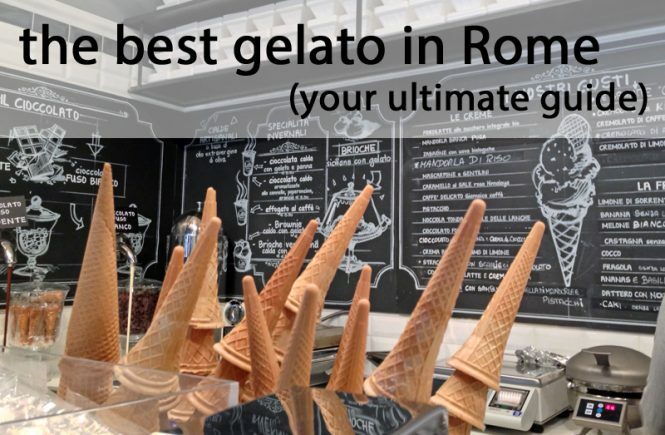 After more than a year of silence, I’m going to let you in on Rome’s best-kept gelato secret: Rome’s best gelato isn’t at Grom, at San Crispino, or even at Ciampini (although that’s still my favorite on-the-beaten-track gelateria, for when you just don’t have time to make a voyage out to, say, Vice). 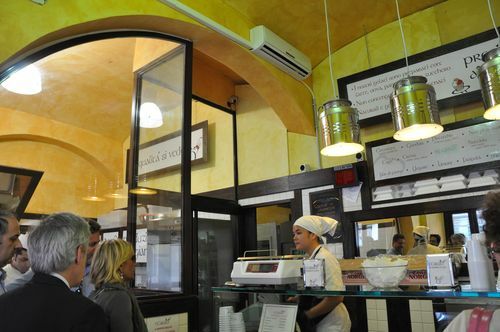 Instead, Rome’s best gelateria is a little place in the centro storico’s business district, a short walk from Repubblica. (Update, Dec. 2013: Actually, not any more. I Caruso is still excellent. 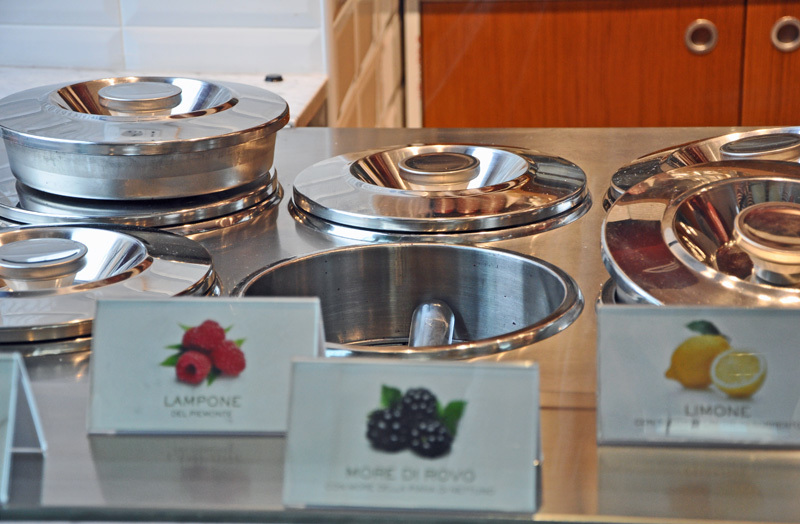 But just around the corner is what I think is the new best spot for gelato in Rome…). If you haven’t heard of I Caruso, you’re not the only one. 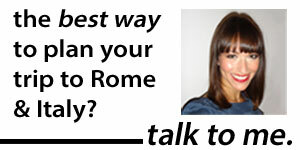 So far, it’s escaped notice even by Rome’s myriad foodies and gelato lovers, never mind guidebooks. 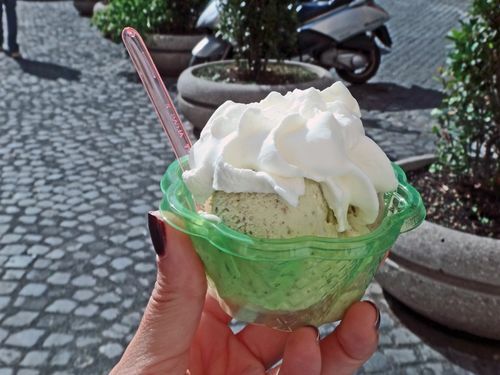 In fact, it didn’t even make it onto any of the recent lists I’ve seen of Rome’s best gelato shops (including these otherwise-great round-ups by Tavole Romane, Katie Parla, and NileGuide). 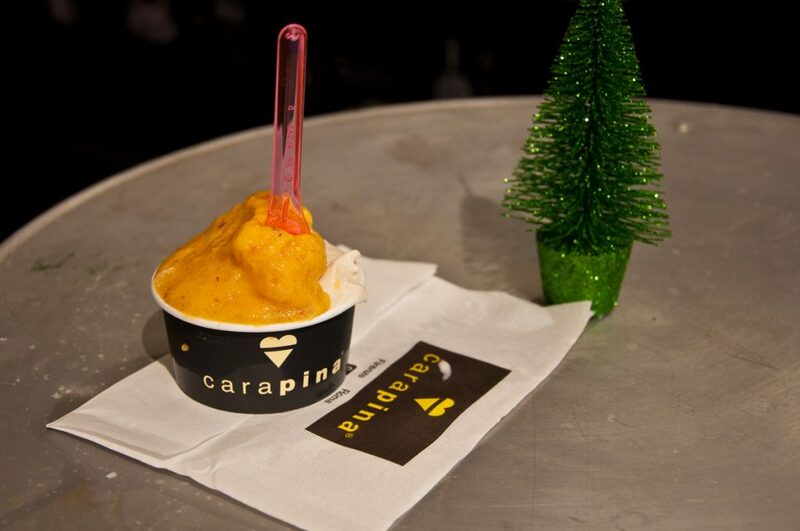 That said, if I Caruso is a local secret, it’s one of the most popular local secrets I know. Every time I go, the place is crowded with Italians. Men in suits fresh from their work at one of the nearby banks, families, well-heeled women — they’re all here. And with reason. About a year and a half old, I Caruso is truly artigianale; not only is everything made on-site with fresh ingredients, but you can watch them make the gelato through the glass. The panna, in either normal or zabaglione flavors, is the best I’ve had in Rome. It’s whipped fresh right there. 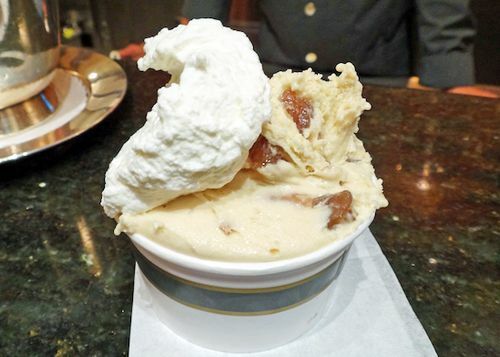 And the gelato itself? It’s out of this world. The extra-dark chocolate is the creamiest, richest I’ve ever had. Balanced off with a fragola that tastes like a just-picked strawberry, bursting-with-flavor melon, or with I Caruso’s famous pistacchio, it’s the perfect cup. Other options, which change seasonally, include mandarin orange, almond, and fior di panna. Meanwhile, the servers are friendly, the place is super-clean, and the prices (€2.50 for a small, €3 medium, €3.50 large) aren’t bad. 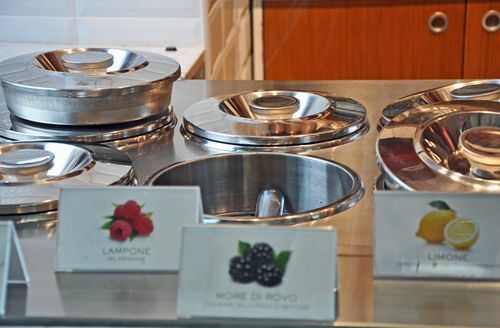 You can also get gelato by the kilo here… a pricey option, but I can’t imagine a better way to be a hit at a party. (Below, where the magic happens). Another bonus? The location. 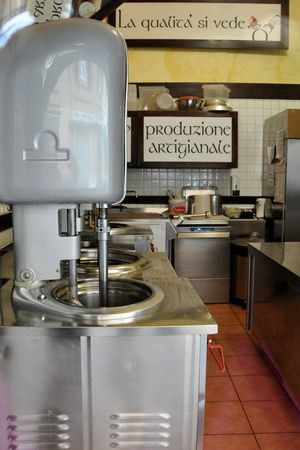 A 10-minute walk from the Repubblica metro stop, it’s much more convenient than many of the other artisanal gelaterias in Rome. I Caruso is also right around the corner from Piazza Sallustio, so if you don’t want to take advantage of one of the benches on the street, you can wander over and enjoy your gelato while checking out some great ancient ruins: the remnants of the villa built by the Roman historian Sallust in the first century B.C. In fact, I’ll be honest: I Caruso is so good that, for a long time, I didn’t want to be the one to “out” this place. After all, as we all know, once an establishment in Rome gets popular, it starts to go downhill. Plus, my original source had begged me to keep the place a secret. But out of devotion to my readers, and commitment to helping those on their honorable search for Rome’s top-quality gelato, I decided it was time. So there you are. 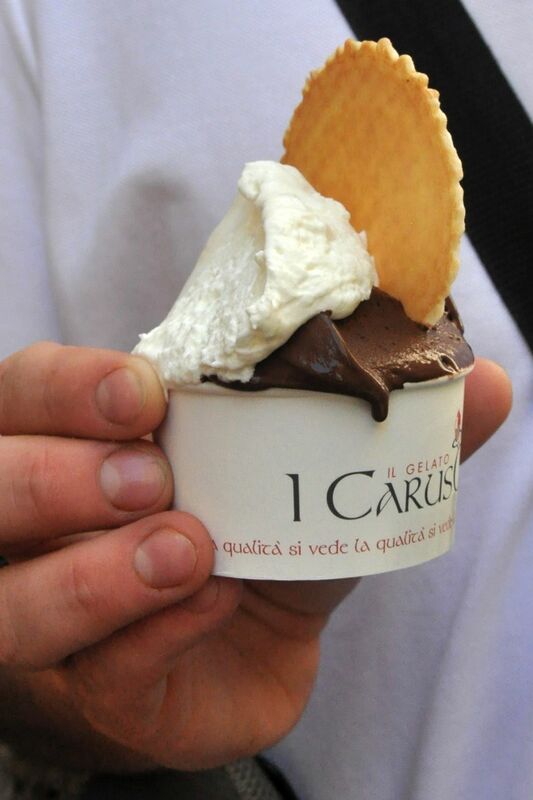 Rome’s best gelato. Just in time for summer. Just please… don’t tell anyone. Okay? I Caruso. Via Collina, 13-15. 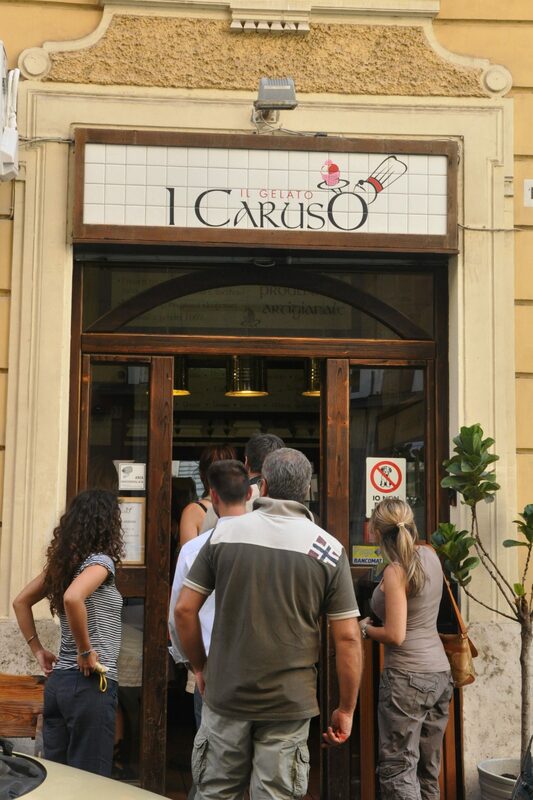 Click here for a map of I Caruso’s location. 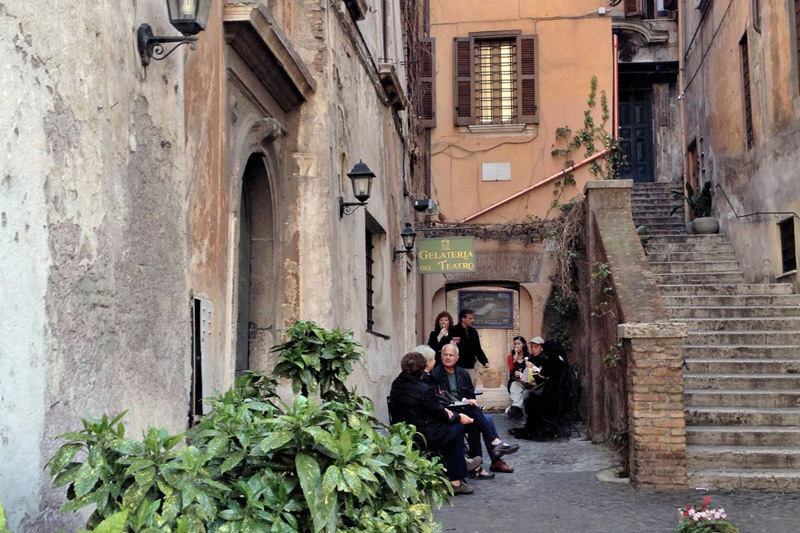 Want more local secrets on Rome’s best food, sights, and more? Check out The Revealed Rome Handbook: Tips and Tricks for Exploring the Eternal City, now available for purchase on Amazon, below, or through my site here! 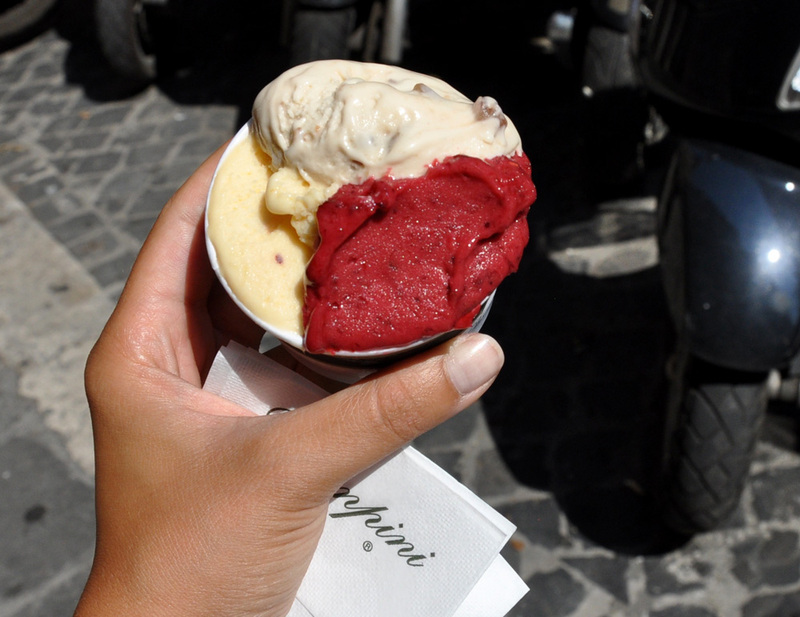 I'm doing some research for an upcoming story, and this research includes finding Rome's best gelato. (There could be worse things). Thus far, I've been pretty good: Ordering a "coppa piccola" of gelato, tasting, and throwing half out. But at the gelateria Ciampini, even though I'd already had two frozen treats, I couldn't keep myself from gobbling the whole gelato down. I tried chestnut, mixed berry, and peach with pinenuts. Each one was super-creamy, but with bits of their namesakes mixed in (including actual, chewy bits of chestnut, and whole pinenuts). Yum, yum, yum. I had a stomachache afterwards, but it was so worth it. 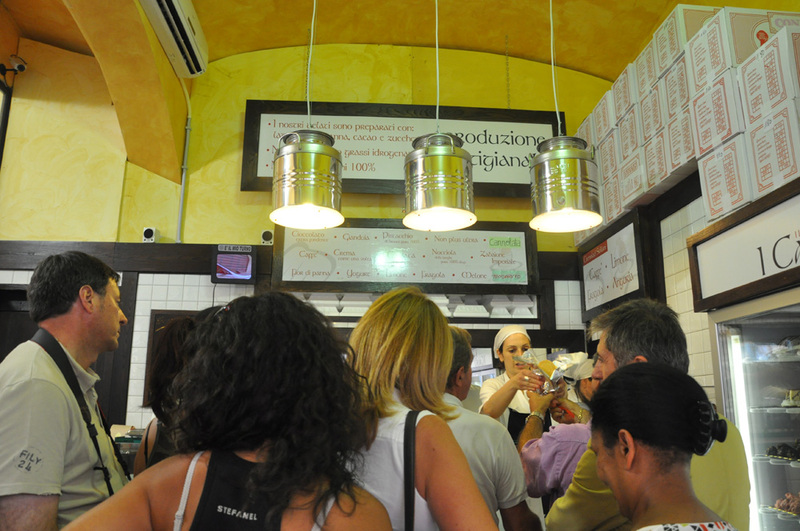 (Since then, I've been back to Ciampini a number of times — and I still think their gelato is some of the best in Rome). Ciampini. Piazza San Lorenzo in Lucina 29, in between the Spanish Steps and the Pantheon. Click here for a map.